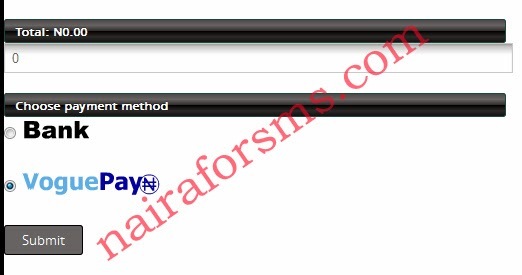 If successful, your Nairaforsms account will be credited instantly. Kindly use the comment form below if you've got questions to ask as regards online payment for bulk sms at Nairaforsms.com. Want to pay to the bank or want to use ATM? Pls, can I pay with my GTB Naira Mastercard without the token device? No. The Interswitch gateway will request you enter the code generated from the GTB token for authorization of the card payment. Hence, you will need the token device. You said we will be credited instantly if we pay online with our cards. Please, does that means we don't need to send payment details to your after paying with card? You will be credited instantly. So, no need sending payment details to use after successful payment with your card. You only have to write down your transaction ID displayed at the VoguePay page should in case we need it from you.